On a misty Autumn morning in 1979 the Aer Lingus flagship descended in Dublin. On board was the First Pope ever to visit our shores, Ireland known as the Land of Saints and Scholars. People from all walks of life and from every county waited with such excitement and delight when the news that the Pope was coming. Who was this Pope? His name was John Paul II. A man of fine stature and strength, and a native of Poland. We were the privileged people to have this strong and vibrant Pope come into our midst. As John Paul II appeared on the steps of the plane he greeted the people of Ireland with his blessing. As a symbolic gesture he knelt down and kissed the ground. No one could have anticipated the crowds of people that would come from every walk of life to see this Holy Man that had come to our land. Over 2.5 million people came by foot, bus and car to the venues where Pope John Paul II visited People travelled for hours and through the night to get a glimpse of this Pope. He visited Dublin, Galway, Knock, Clonmacnoise and Drogheda. 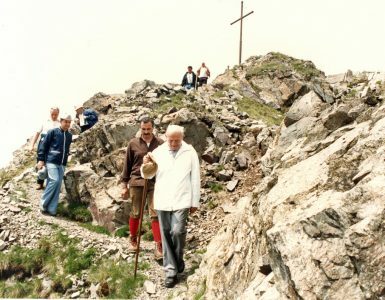 There was one place in particular that John Paul’s II had a heartfelt desire and had chosen to visit. It was to the Holy Shrine of Knock in Mayo, a Shrine dedicated to The Blessed Mother Queen of Peace. When he learned that it was the Centenary Year of the Apparitions and linking it to the other Marian Shrines that he had visited, Pope John Paul II greeted the people of Knock, all 450,000 from the west and beyond. 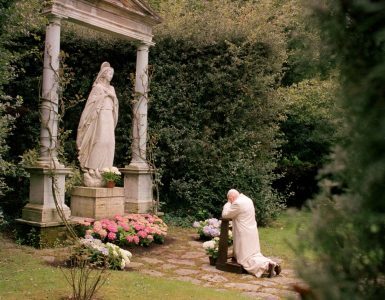 In his address he said, “I am at the goal of my journey to Ireland”, I felt a strong desire to come here, to make yet another pilgrimage to the Mother of Christ, Mother of the Church, the Queen of Peace. The story of Knock began on the 21st August 1879 at approximately 8 o clock in the evening, when 15 people from the village witnessed an apparition of our Lady at the gable wall of the parish church, with her appeared St Joseph, St. John the evangelist a Lamb and the Cross. The witnesses were aged between 5 and 74 yrs. There was heavy rain and the villagers got soaked but yet where the apparitions appeared the gable wall remained completely dry. A commission of enquiry later on in 1879 found the testimonies of the witnesses both trustworthy and Satisfactory. Later in 1936 the two surviving witnesses gave evidence at a Second Commission of Enquiry. One of them Mary O Connell said in her sworn statement that” I am very clear about everything I have said, and I make this Statement knowing I am going before my God”. She died later that year. Over one million people visit this Holy Shrine every year. On the 30th September 1979, one hundred years on, the people of Ireland have the great privilege on been here for the Holy Mass celebrated in the open air to facilitate the vast crowds with the Holy Father Pope John Paul II in their midst. The sick were brought in great numbers, they were in the Church and outside. The Pope spoke with them and gave them the special Blessing of the Sick. In his homily following the Readings, Pope John Paul II greeted the congregation “Se do bheatha a Mhuire, ata lan de ghrasta” “Dear Brothers and Sisters of Christ, faithful Sons and Daughters of Mary”. He spoke of his great desire to be here at this Holy Shrine. 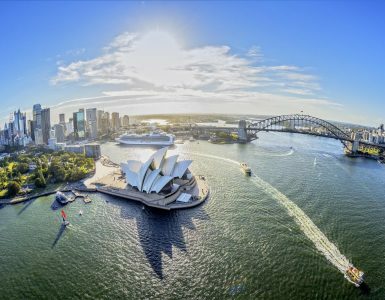 How since he first heard of the centenary celebrations, how much he wanted to visit here and make another pilgrimage. “Do not be surprised by this “he told the vast crowds,” It is a custom of mine, I have been doing this from my earliest years in my own country, and also as Bishop and Cardinal. At the heart of all these Holy places is the Mother of God, Mother of the Church. In the heart of Pope John Paul II is Mary. His apostolic Motto was “Totus Tuus,” meaning “totally thine “and expressed his personal Consecration to Mary. We are all on pilgrimage, we are a Pilgrim people, on our pilgrim way under the guidance of Christ.” I am Pilgrim come in salutation to Mary at this Marian Shrine at Cnoc Mhuire, the Hill of Mary. “Blessed are you among women, and Blessed is the fruit of your womb”; (Liturgy of the Days readings), This is also my greeting to Mhuire Mathair De, Mary Mother of God, Queen of Ireland, at this Holy Shrine in your Honor. It fills my heart with so much Joy to be here today. Highlights of my recent pastoral journeys have been to visits to Holy Shrines dedicated to Mary such as Guadalupe in Mexico and the Black Madonna of Jasna Gora in my Homeland. My devotion to Mary unites me in a very special way with the people of Ireland. Ireland has always had a long spiritual tradition of devotion to Our Blessed Mother. Your veneration of Mary is deeply rooted in your faith. This deep-rooted devotion testifies to the success of evangelization by St. Patrick, who brought you the Catholic Faith in all its fullness. It is essential then that this tradition of devotion to Mary continue in your homes and parishes and in a special way at this Shrine of Mary. For a whole century now, you the people of Ireland have sanctified this place of pilgrimage through your prayers, sacrifices, and penance. You have received many Blessings through the intercession of Mary. From that great day of Grace 21st of August 1879 to this day the handicapped, the suffering, all those in need of healing in mind, body and conscience, weak in faith have received healing, comfort and consolation all because they believed and trusted in Mary who in turn brought them to her Son Jesus. So many changes in our world today and especially in Ireland, so many new problems to be faced by the faithful, either because of the pace of change in Society, or because of the new demands that are made on the People of God, demands to live to the fullest the mission of evangelization. Mary’s words are very few to be found or recorded in the Gospels, but those that are very much linked to her Son and His Word. At Cana she told the Servants “Do whatever He tells You”. These words we read through the story of His life and His Word. Through the Rosary, we combine our great love of Mary the Mother of God with prayerful meditation on the mysteries of her Son’s life. The word of the Lord is there to guide and comfort us when we are overburdened, or when we have choices to make regarding our faith. Our Lady of Knock is saying the same to all of us here today “Do whatever He tells you”. Her voice is heard more expressly by the pastors of the Church in Ireland, who by inviting me here to have asked me to respond to an invitation from the Mother of the Church. I respond as I enter into the whole of your Country’s past, and I also feel the force of its eloquent present , so joyful and yet so anxious and at times so sorrowful, I am responding as I did at other Shrines to Mary, by pronouncing in my name and on your behalf in the name of all the People of Ireland a Prayer Of Trust and Consecration to the Mother of God. 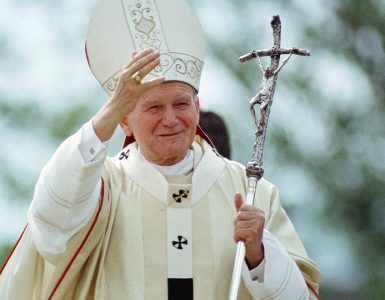 (Full Homily and Consecration of the Holy Father John Paul II on W2. vatican.va). At an exhibition “Preparations for John Paul II visit to Ireland in 1979,” it chronicles how in 10 short weeks the visit by this Pope was facilitated and how 1.25 million alone were catered for at one venue the Phoenix Park in Dublin. Such was the spirit and enthusiasm of the people of Ireland. The good will of the people put in all the hard work needed to have everything in order for this great event and in the other places also that Pope John Paul II was to visit. Archbishop Diarmuid Martin says “there was an extraordinary atmosphere. People to this day remember so well the details, how they got there, what time they got up at, and who they met”. In honor of the Pope’s visit many parents called their children by both Christian names John Paul.